Dr.Sujan Chakraborty comes from a lower middle class family of Kalikapur, a village near the Champahati railway station in the district of South 24 Parganas. He was born on 16 March 1959 to sri Kanailal Chakraborty and smt. Binapani Chakraborty. He got raised through poverty and hardship.Being a victimized soul of partition of Bengal, his father moved from east Pakistan to a remote village in south 24pgs, where he joined as a clerk in local school and had to struggle hard to survive a family of eight children.After passing the HS Exam and clearing the Joint Entrance creditably in the year 1975, he enrolled in the Department of Pharmaceutical Technology at Jadavpur University, from where he completed his Graduation with First Class and later obtained the Masters’ degree. Sujan received the doctorate degree for his significant research on the terminal disease of cancer. Sujan’s work was recognized not only at the national level but in international spheres also. Invitations poured in from England, Greece and other countries for research on cancer. He was the Guest Speaker at an international conference on cancer held overseas in the year 1995. Besides making his mark as a meritorious student, Sujan chose to build himself up as a committed soldier of the students’ movement from school days. He was naturally drawn to the doctrines of Marx and Lenin and involved himself with various social awareness programs including literacy and science. His first inclination to Marxism was during his school days in early seventies when he was in ninth standard.He lent a strong leadership against the anarchy in the education system and fought against rowdyism in the education sector. He got actively involved in Student’s Federation of India. He became the Secretary of the SFI South 24 Parganas unit in 1985, State Secretary of SFI in 1988 and its All India General Secretary in the year 1993. In 1994, he attended the International Solidarity Convention for Cuba. Raised in a political ambience, Sujan chose to take the plunge for his ideal forsaking an assured professional career that held the lure of many comforts and luxuries of the so called affluent living. The inspiration he had imbibed from his devotion to and faith in the tenets of Marxism and Leninism drew him into close contact with the masses. The hardship and struggle Sujan had to share with his family since childhood had given him the mental strength and sensitivity to be on the side of the suffering common people. A strong urge to remove social disparities and communal rift and to improve the lot of the country and its people led him to embrace the life of a political whole-timer in 1985. With his firm conviction in the Marxist ideals he gradually found his way to the District Secretariat of the Party at an early age of twenty-nine and threw himself into the various movements for the cause of the toiling masses. 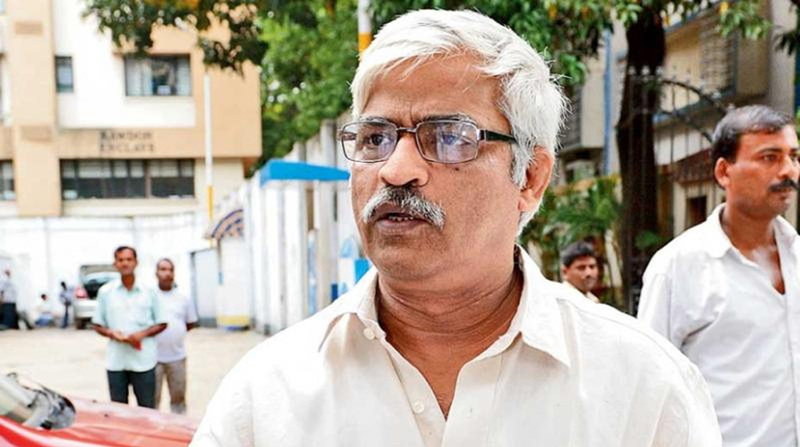 Sujan became the Secretary of the South 24 Parganas District Committee of the CPI(M) in 2010 and a member of the Party’s State Secretariat in the year 2012. Later, in 2018, he was elected in the central committee of CPI(M). He was elected Member of the West Bengal legislative Assembly in the year 1998 from the Baruipur constituency. As an MLA, besides giving the due importance to developmental works of infrastructure and civic amenities, he laid stress on organizing local clubs to implement various schemes meant for social uplift. Sujan successfully mobilized people’s participation and set exemplary standards in local area development works. As a member of the ‘District Planning Committee’ of the South 24 Parganas, he played an important role in the formulation and implementation of development plans for agriculture and industry, industrial infrastructure, electricity, drinking water, irrigation, health and sanitation, improvement and extension of roads, new railway over bridge and expressway etc. To harness the unemployed youth to self-employment projects, to found an organization called SHILPABANDHU(The Entrepreneur’s Friend), to organize industrial fair and to impart training and counsel to the youth on trade and commerce – Sujan is always keen and enthusiastic. An honest and enterprising person that he is, Sujan is the typical everyman and a natural choice as the people’s representative. As a popular face in electronics media, he is always precise, sharp and refined in political analysis and debates. His frequent appearance in the electronic media with comments and opinion on socio-economic and political issues are always analytical and argumentative. Sujan had been elected to the 14th Loksabha from the Jadavpur parliament constituency. He was elected as Member of Legislative Assembly from Jadavpur constituency in 2016 and became the Leader of Left front legislative party in the West Bengal assembly. He has an everyday relation with the people. From club organizations to the field of sports or the precincts of education and culture – in all social forums, Sujan has an active presence. In parliamentary proceedings too, he was very much active in every aspect – raising questions, participating in debates and placing constructive proposals before the House for the interest of the people. He earned praises for his notable work as a member of many committees of the Loksabha including the standing committee on science-technology-environment and forest as well as the consultative committee on food processing and on small and medium scale industries. In placing demands or registering protest, Sujan had raised his voice inside the House, be it for the demand of issuing a commemorative stamp for the world-renowned magician P C Sarkar or against the unfair sacking of Saurav Ganguly from the Indian cricket team. Sujan, known more as a dynamic worker, has proved to be an able state level administrator as well. It was under his efficient management that the state-run WBPPDCL which had run into losses, turned into a profit-making organization. He served as Chairman of the West Bengal Rural Energy Development Corporation committed for the spread of electricity in the rural areas. Sujan’s untiring enthusiasm in planning and excecuting major developmental works was appreciated by all. While his planning for extension of the eastern metropolitan Bypass, linking of Eastern Railway with Metro Railway by constructing the New Garia station etc. could be operationalised effectively, his planning for commissioning of the District Headquarters at Baruipur and establishment of the Institutional Park with nine national research institutions is yet to be implemented. Today our country is fraught with two perils: on the one hand, corruption has pervaded the governance and on the other, divisive and communal forces have been raging around fiercely. Propaganda on giant billboards conceals the stark realities of hunger, poverty, illiteracy and lack of public health and sanitation that constantly scourge the country. The need of the hour is A CLEAN AND TRANSPARENT GOVERNANCE AND A SECULAR WELFARE STATE. Dr. Sujan Chakraborty is truly a comrade-in-arms of the common people in all their struggles. He is there, with all sympathy and solidarity, to stand by the poor people duped by chit funds, by the side of the youth befooled in the name of employment as civic police, by the side of TET examinees losing heart to realize the extent of corruption and nepotism, by the side of the SSC-qualified teachers holding a fast for justice and etc. Sujan is determined and stands by the victims, braving assaults on himself. The goal of him is definitely to bring about a social change in the country by establishing a truly democratic, secular, socialist and republic. A Man for all reasons; A Man for all seasons.